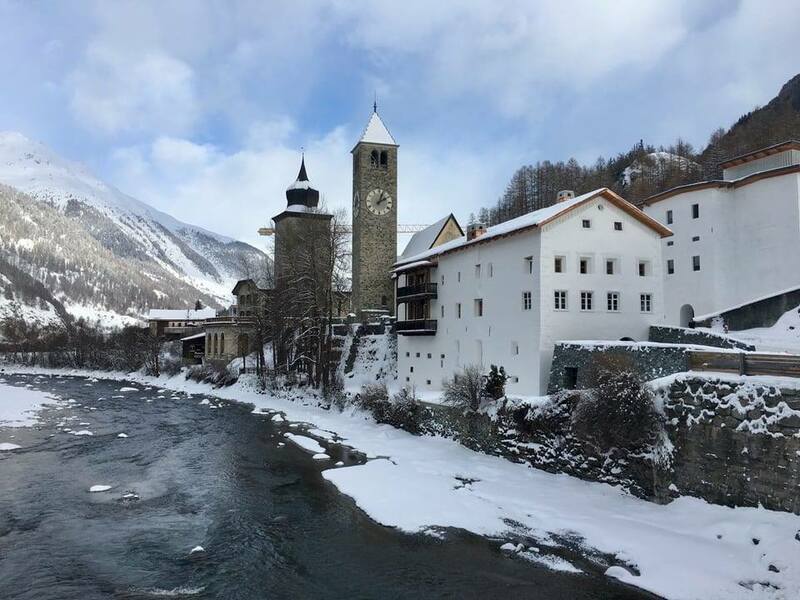 The Susch Muzeum dedicated to contemporary art opened in a small alpine village in the enchanting Engadin valley. The new institution was founded by Grażyna Kulczyk, a well-known Polish art collector and businesswoman. The initial idea was to build a private museum in Poland. However, the plan to establish a new cultural institution using public-private partnership, failed both in Poznań and in Warsaw, despite the fact that the famous Japanese architect honoured by the Pritzker Architectural Prize, Tadao Ando was considering an architectural concept for the capital of the region of Wielkopolska. 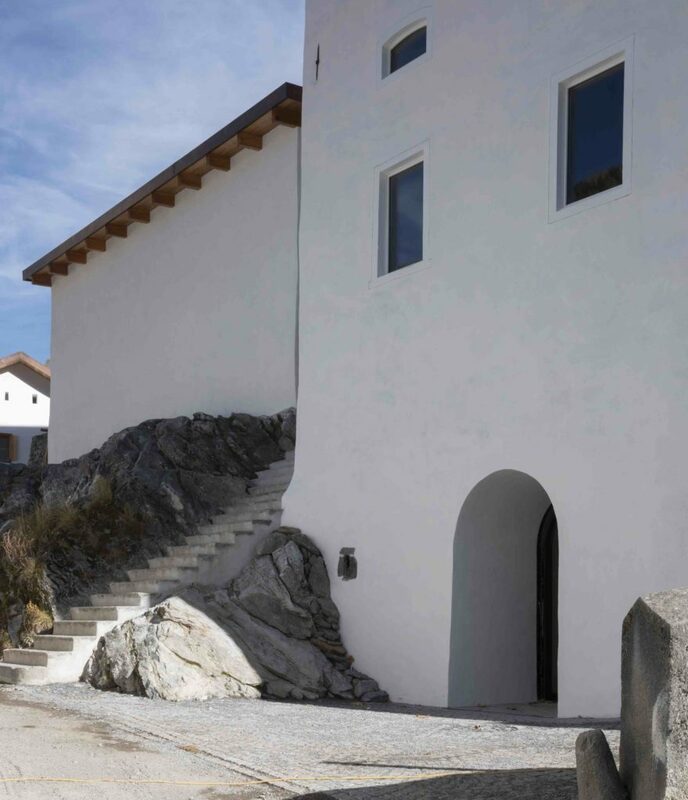 Finally, Grażyna Kulczyk decided to build the museum in a cosy alpine village. It will mainly promote Polish contemporary art carefully collected by Kulczyk for many years. At the first glance, it is difficult to determine the location of Grażyna Kulczyk’s museum in the tiny Swiss village. Architecture in Susch is consistent, and all buildings have a similar style. None of them attempts to become an icon. The museum, designed by the Zürich-based architects, Chasper Schmidlin and Lukas Voellmy, is an antithesis of the Guggenheim Museum in Bilbao. The project is founded on contemplation of space and surroundings, and on respect for local architecture. The investor emphasises that the museum supports the idea of slow art. 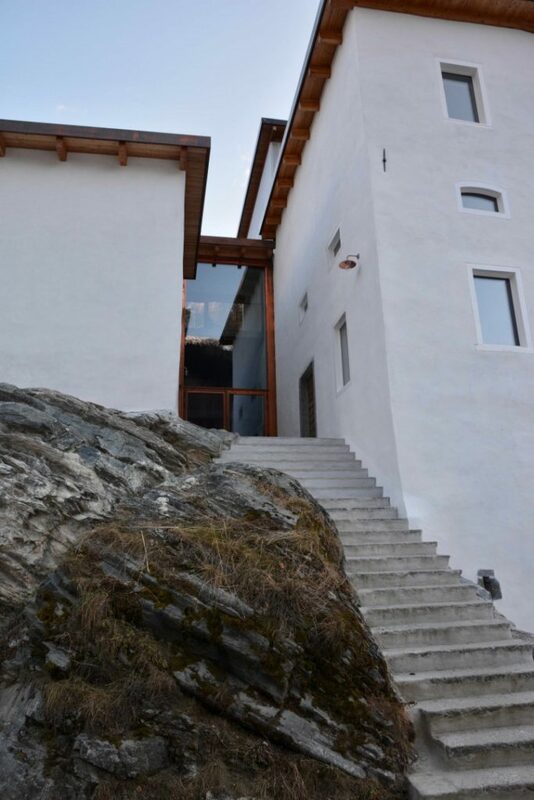 The institution is located afar from major urban centres, and close to Davos and St. Moritz. It takes about two hours to get to Susch from Zürich. Take the journey to unhurriedly absorb and analyse contemporaneity told by artists, far away from the tumultuous modern life. Günther Vogt, the author of e.g. the landscaping around Tate Modern, was responsible for blending the complex into the landscape of the alpine valley. The architect chose natural local materials. He covered parts of the outer walls of the buildings with stones taken from the river Inn running through Susch. They were cut into slabs of different sizes. Local materials dominate the project. Local craftsmen constructed window frame-woodwork and furniture. The ambience of the museum results from bare stone, handmade plasterwork, wood, and site-specific installations created specifically for the Susch Muzeum. 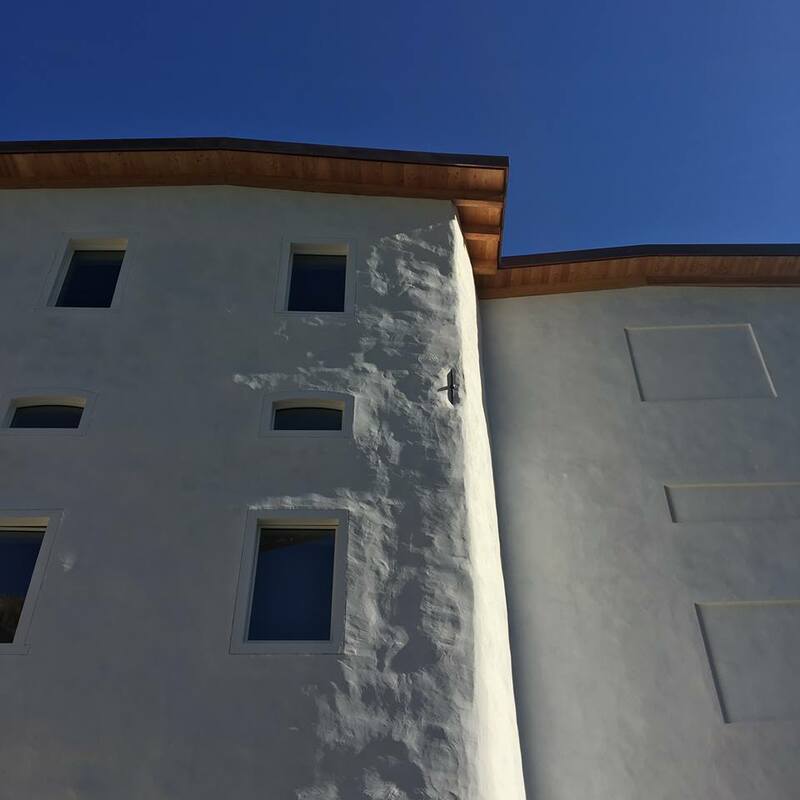 The challenge for the architects, Chasper Schmidlin and Lukas Voellmy, has been to functionally adapt the buildings of the former monastery. In contrast to the Old Brewery in Poznań – Grażyna Kulczyk’s previous flagship investment, the Susch Muzeum is a small-scale enterprise entirely devoted to art. The complex comprises four buildings, which host the 1,500 square meters of exhibition space, foundation headquarters, a restaurant, a library, and the house for the artists’ residence. Exhibitions will provide an opportunity to commune with contemporary art. The collection of the museum comprises the works of renowned Polish artists: Monika Sosnowska, Magdalena Abakanowicz, Mirosław Bałka, Zofia Kulik, Paulina Ołowska, Jarosław Kozłowski, Joanna Rajkowska and Piotr Uklański. The list of foreign artists presenting their works in Susch includes: Sara Masüger, Heidi Bucher, Adrian Villar Rojas and Joan Semmel. 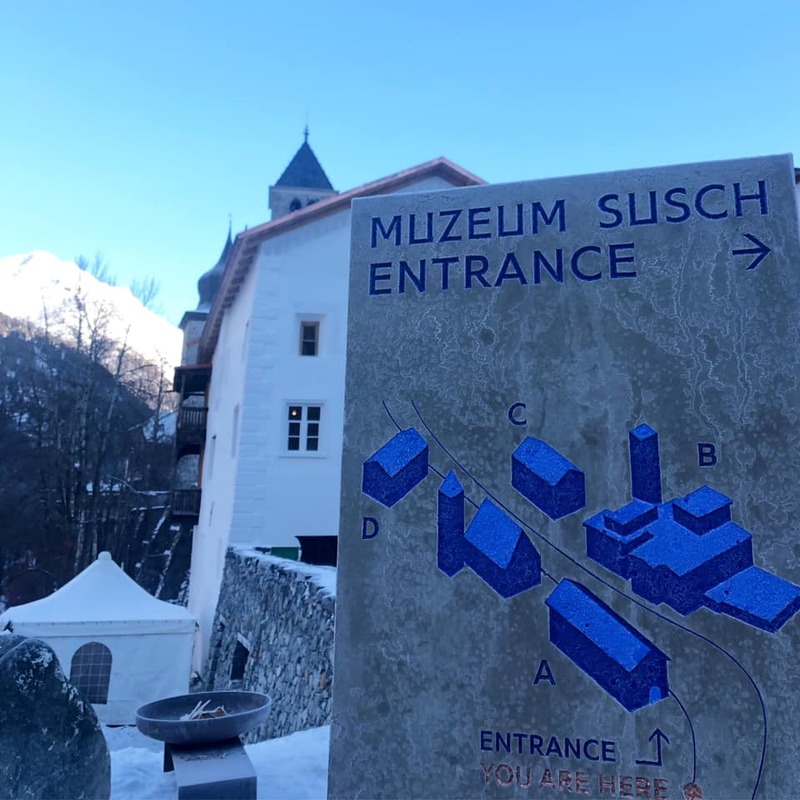 At the Susch Muzeum the new and the old meet every step of the way. The museum is located in a complex of a medieval monastery and a brewery building. The challenge for the architects, Chasper Schmidlin and Lukas Voellmy, has been to functionally adapt the buildings of the former monastery. They had to create spacious exhibition halls suitable for displaying large-scale works of art and site-specific art, without interfering in the character of the historic architecture. And they succeeded. Deepening the mountain cave, which was formerly used as pantry and cold room, enlarged the cubature of the complex. To connect the buildings located opposite each other, an underground passageway was drilled underneath the street. As a result, the exhibition space was tripled. 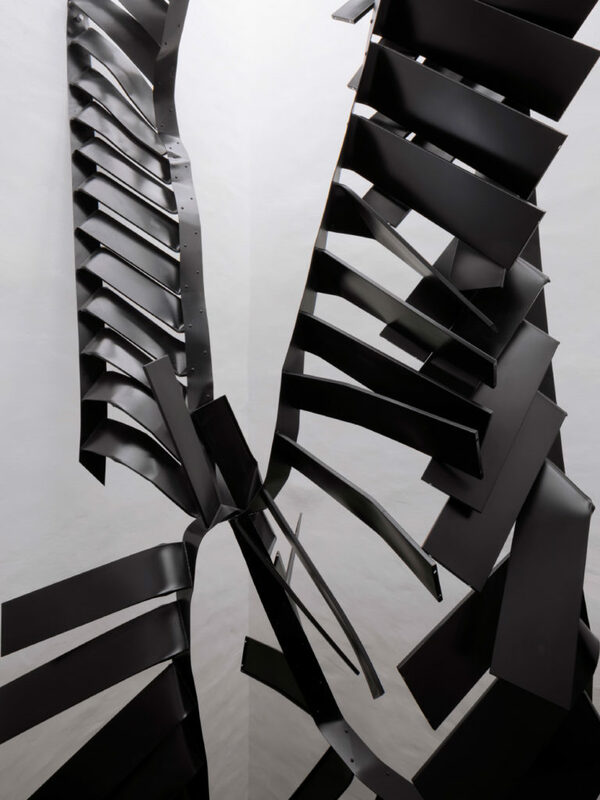 The tower of the brewery houses Monika Sosnowska’s 14 metres high sculpture resembling a deconstructed, bent staircase, suspended at the ceiling at the highest point of the complex. 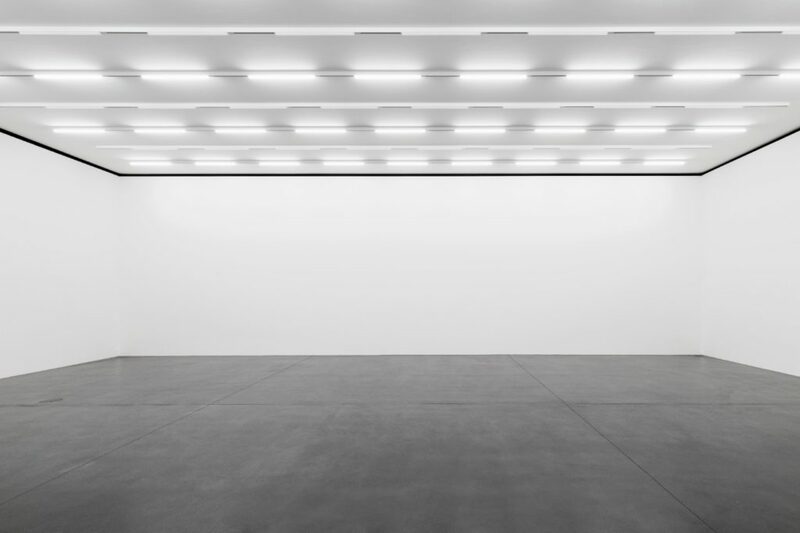 Dark metal is contrasted with the whiteness of the walls covered with plaster prepared in accordance with the rules of art known for over 800 years. Monika Sosnowska’s installation is an example of site-specific commission prepared for the Susch Muzeum. The original tower has been extended by 4 meters into the ground to allow the assembly of the sculpture. The sculpture was installed inside the museum before the roof was placed. 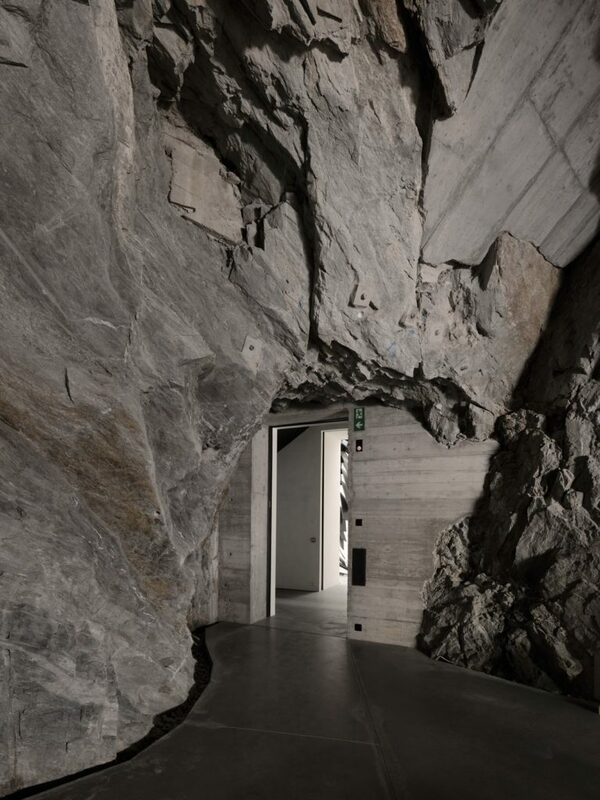 Anther commission for the museum is the work of Sara Masüger – a tunnel running underneath the entrance hall to the museum in the old brewery. 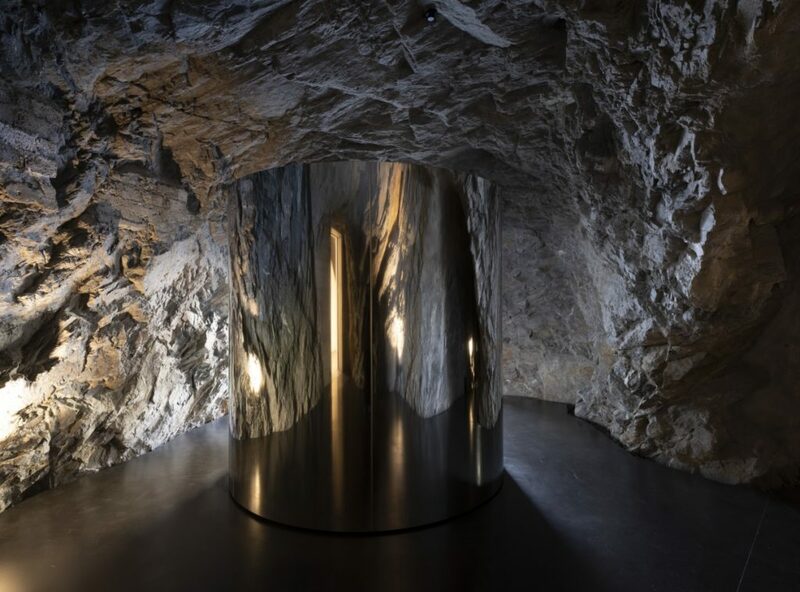 The sculptural cave opens towards the river and echoes the sounds of the water. 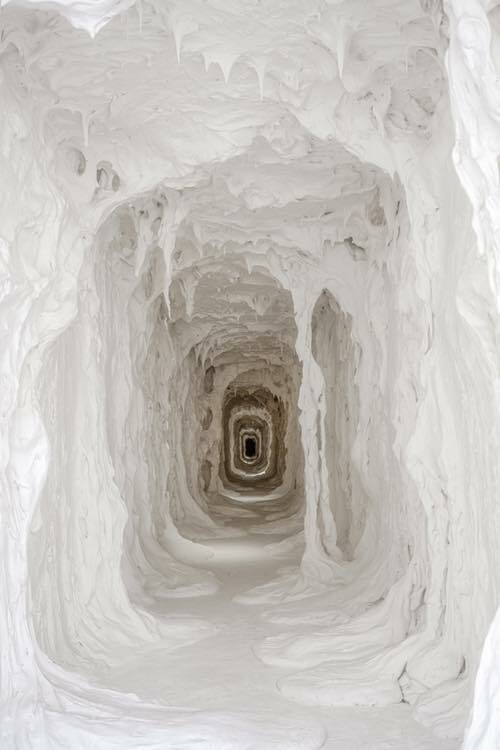 As a result, Sara Masüger combined sculpture, architecture and landscape into an artistic experience. The Muzeum Susch opened to the public on January 2, 2019 with an inaugural exhibition “A Woman Looking at Men Looking at Women” curated by Kasia Redzisz.